Comment: I have a 16' x 12' barn for storage with wooden boards framing the foundation below the siding. The wooden boards are rotting and need replaced. I have found prefinished boards at Menards that will work. The job is to remove the existing boards and replace with the prefinished boards. Comment: I need a set of stairs replaced. They are to the basement, so they do not have to be decorative in any way. Just wood steps. Comment: Rain water is leaking in around the window frame and running down the wall. Comment: Looking to remove load bearing wall to make two small rooms into one large room. Support beam will have to span approximately 18 feet. One support post can be installed if necessary. Comment: Install baseboards in short hallway, foyer, and kitchen. Also need a banister installed. Happy to meet at project site to review the work needed. Comment: I have a-frame vaulted ceilings in the main are of my house. there are 3 walls surrounding the kitchen that are only 3/4 walls. I would like to remove the wall between the kitchen and family room down to bar top height, some electrical will need to be reran through the crawl space. Miamisburg Carpenters are rated 4.78 out of 5 based on 251 reviews of 16 pros. 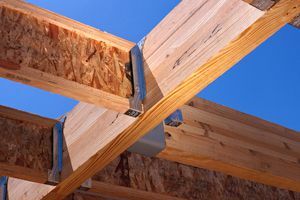 Not Looking for Carpenters Contractors in Miamisburg, OH?